On or about 2/1/2018 Vestal Little League will be launching our brand new webpage! We have been working hard on it and are excited to roll it out. This page will remain active for a little while longer, but around 2/1/18 you should go to www.vestallittleleague.com to check out our new webpage! Vestal Little League is a non-profit organization whose mission is to "promote, develop, supervise, and voluntarily assist in all lawful ways, the interest of those who will participate in Little League Baseball." Through proper guidance and exemplary leadership, the Little League program assists children in developing the qualities of citizenship, discipline, teamwork and physical well-being. 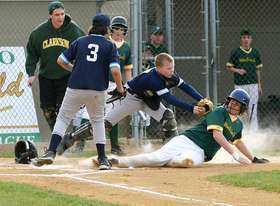 By espousing the virtues of character, courage and loyalty, the Vestal Little League Baseball program is designed to develop superior citizens rather than superior athletes. Follow us on Twitter for the latest VLL news, rainout notifications, and news from Little League International. Questions can be directed to vestallittleleague@gmail.com. Baseball Bat Rules Change 2018!!! Parents and players please take notice: Little League Baseball has put in place new bat rules that have been adopted by USA Baseball starting January 1, 2018. All previous baseball bats used for 2017 season will no longer be allowed for any practices or games in 2018. All 2018 Little League Bats need to have the USA Baseball logo on each bat. This will be strictly enforced by VLL, as we are a charter member of Little League Baseball and these new rules are mandatory. You can continue to use your 2017 bats for Fall Ball 2017 if you would like. Manufacturers will offer their 2018 USA Baseball Logo bats for sale as of Friday September 1, 2017. Please check online or at local sports supply companies for further details. For more information on why this change was made please follow this link for further information. If you still should have additional questions please contact Pete Hatala, VLL Equipment Coordinator at hataladds@stny.rr.com or 607-206-8719.